I’ve been so excited to pair this necklace and shirt, first time I wore both (bought them in July…yes I waited a while so I couldn’t have been as excited as I thought I would be…) but I was kind of disappointed. The shirt and necklace (together as well as separate) didn’t look as good as I was expecting. So I’m not quite sure of what I think of this outfit. I need to find some other ways to style this shirt. I kind of regret paying £20 for it now. I bought this denim jacket in December 2011 in Camden, it’s a Coca Cola ( weird I know! ) vintage! 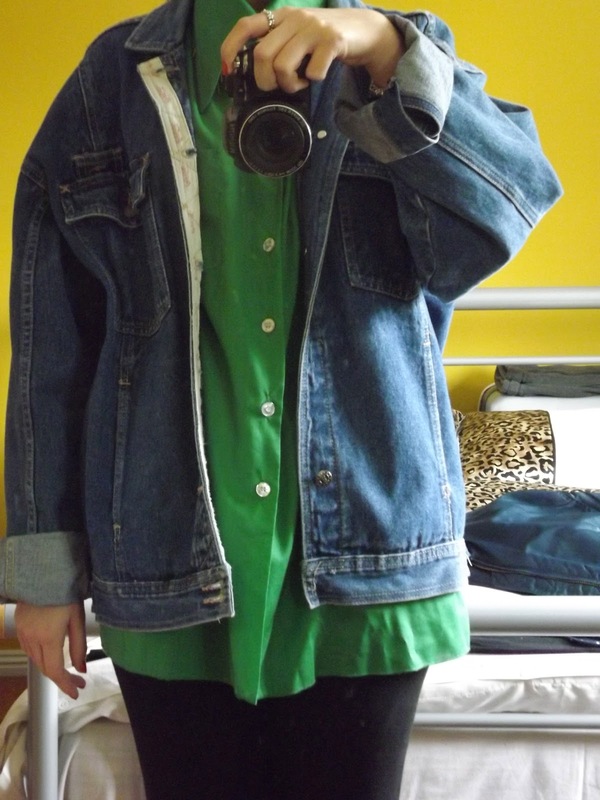 Same price as Levi jackets – £20 – but I preferred this one and I wear it all the time, it does drown me a bit though but I loved wearing oversized clothes. I own so many oversized jackets, blazers, shirts and jumpers.